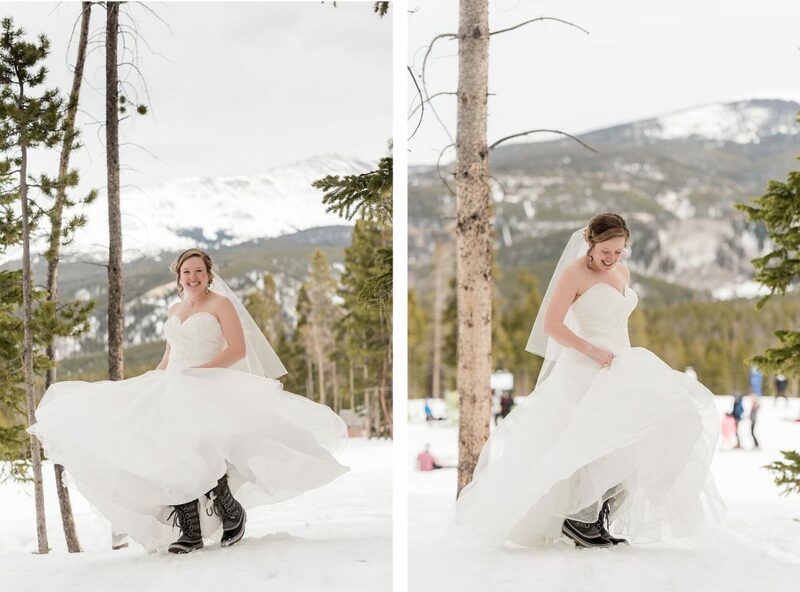 Snowball fights, ski lift rides, and a mountaintop elopement ceremony- does a wedding get more fun than that? We certainly don’t think so. 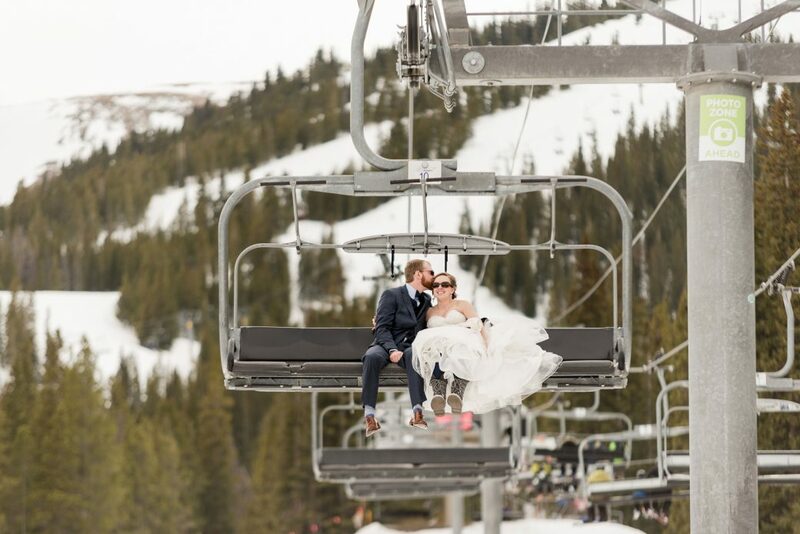 Breeann and Andy celebrated their love with an intimate ceremony atop a snowy mountain at Sapphire Point Overlook in Breckenridge, Colorado. 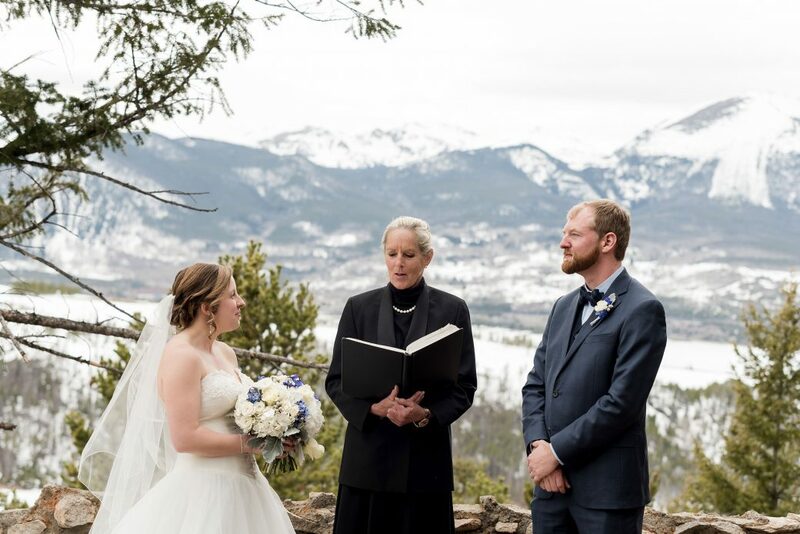 However, the mountaintop exchange wasn’t even the most magical part of the day. 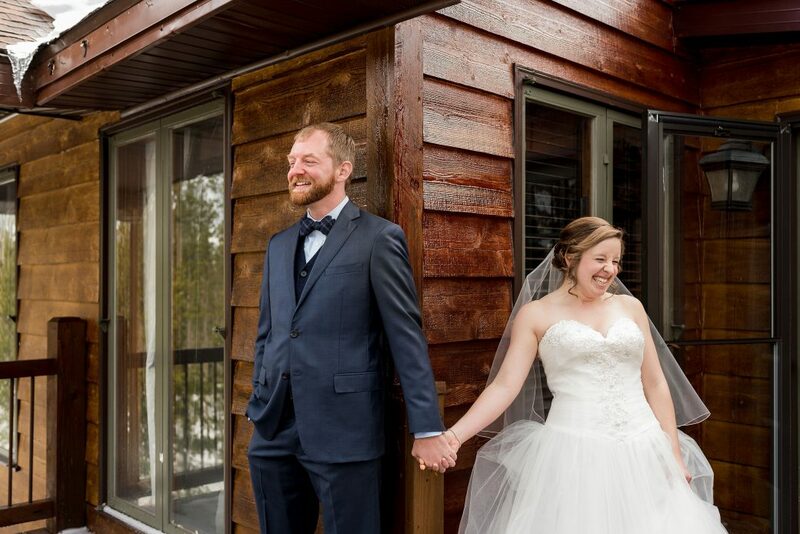 Filled with love, laughter, and pure happiness, Breeann and Andy’s big day is one that won’t soon be forgotten. 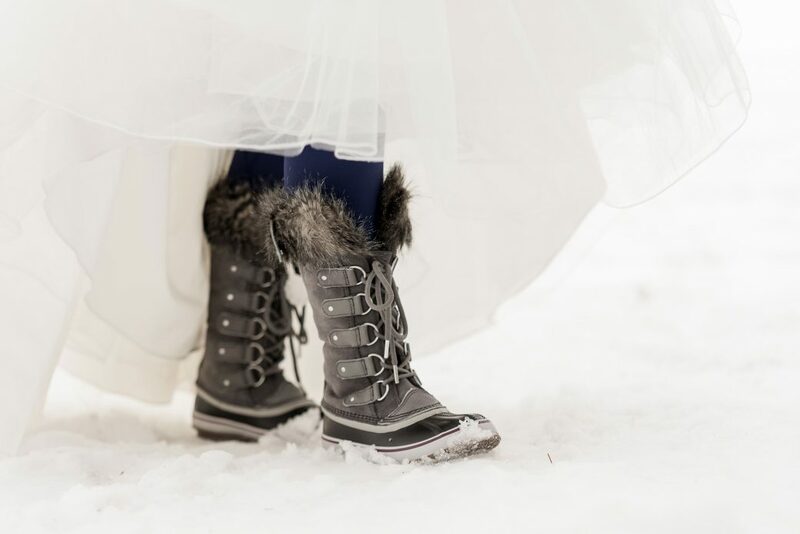 We love her weather appropriate boots! 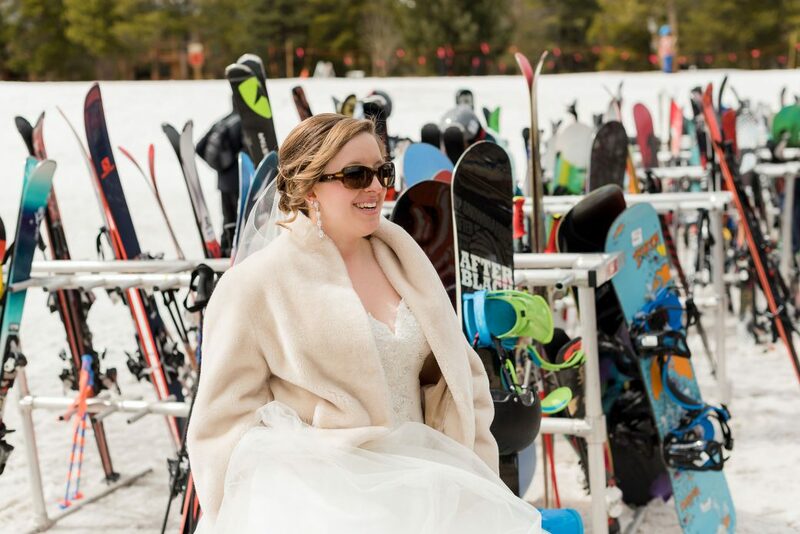 Breeann radiated pure joy as she shared an intimate first look with her husband to be. 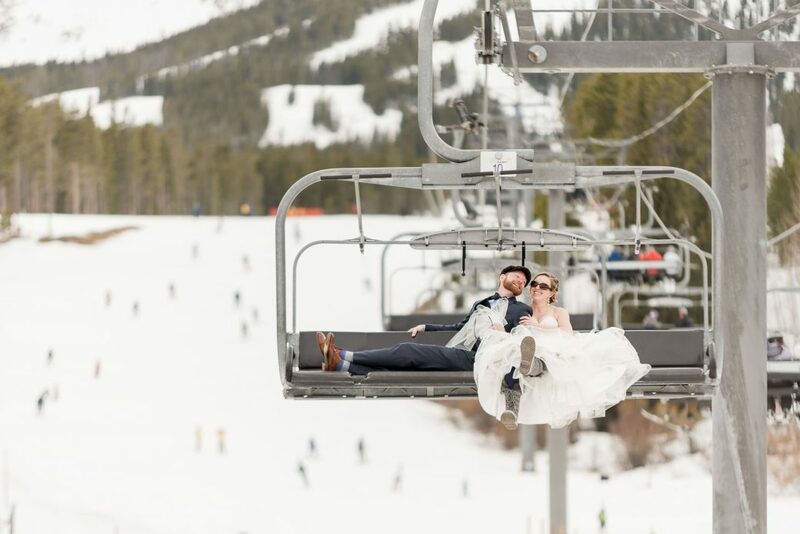 All smiles, the outdoorsy pair headed to Breckenridge for some whimsical shots on the ski lift and in the snow. Not even a little bit afraid of the cold, Breeann and her beau threw snowballs and collapsed in laughter in the snow. 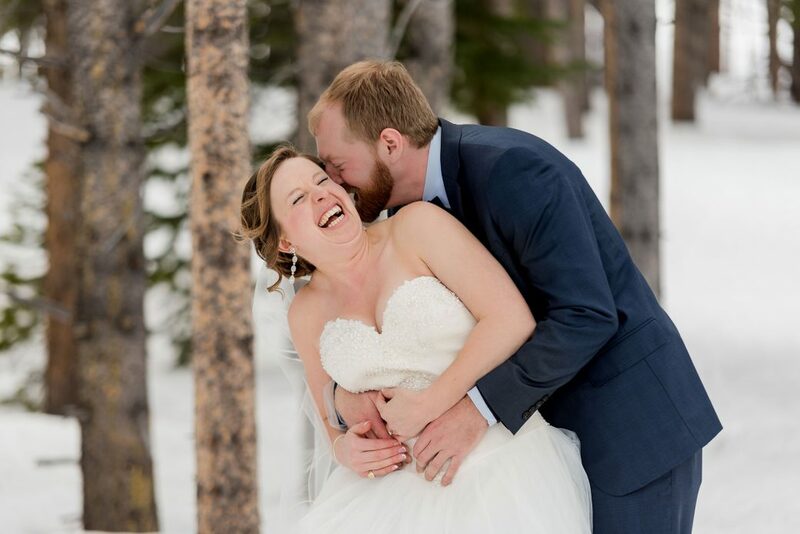 The soulful laughs these two share represent the kind of love that comes once in a lifetime, and we love the way that this fun-loving couple look at each other with nothing but adoration. 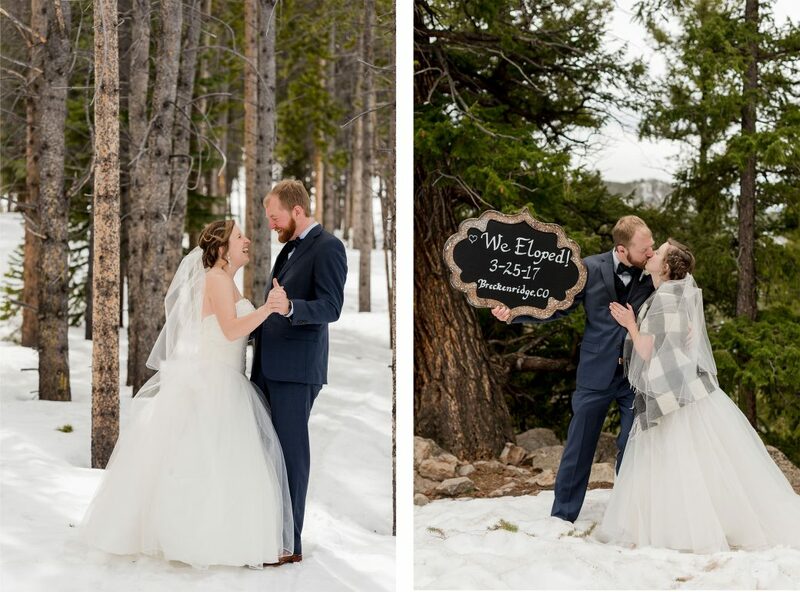 By the time they reached Sapphire Point, Breeann and Andy were more than ready to say “I Do” and they proudly displayed their “We Eloped” sign among the snow and trees. 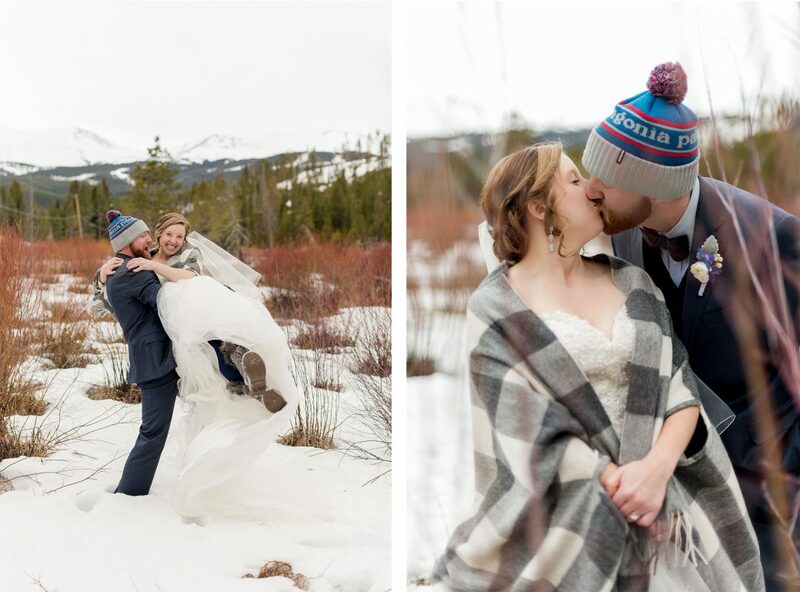 Finally feeling a little bit of a chill, the newlyweds donned a flannel and beanie, respectively, for a few more shots before heading inside for some well-deserved champagne and celebration. 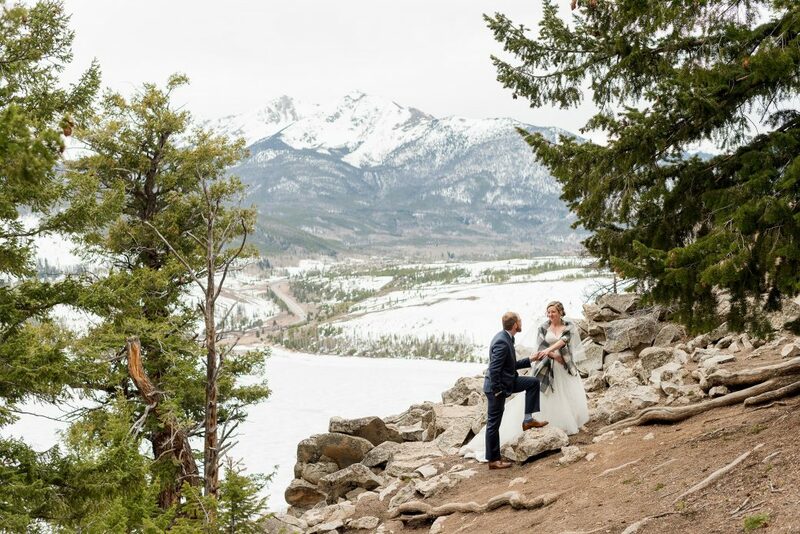 It truly doesn’t get more beautiful than a mountaintop elopement!